Debt is one of those things that literally affects everyone. And I mean everyone because your debt choices will also affect your children. The thing to note though is that it affects everyone in different ways and is used by different people in different ways. Some use debt to survive, whilst some use it to fund a lifestyle, yet others use it as a tool to grow their future wealth as investors. The chances are, you are in one of the above situations or have some relationship with debt. The situation you are in above will also likely dictate how good your relationship with debt is or not. I personally have no consumer debt and have no plans of taking on any anytime soon. I can assure this isn't a coincidence nor an accident. The problem I had with debt was that I could marginally afford it and always felt that so long as I had a job and could afford it, it was ok. 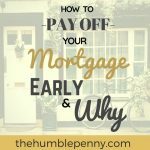 I was wrong and my debt quietly got out of control to the extent that I was front loading expenses and praying for pay day. 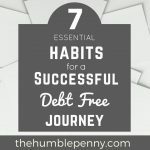 Becoming debt free is a reality you too can achieve if you choose to do so. But as I make clear from my writings, nothing comes to us without first giving something. Although it is easy to partly blame Instagram and social media for some of this, the real fault for this is closer to home. Let me be clear – No one loves you because you drive a nice car, or travel around the world or live in an expensive house in a nice area. In fact, no one cares. Don't mean to hurt your feelings but this is the truth. If you get this, then it is my hope that it will jump-start you into making some hard decisions. The ironic thing about taking on more debt is that people do it to buy more stuff that they think will make them happy. If happiness came from having things then the celebrities we all follow on social media would be the happiest people in the world. Quite the contrary. So why then is debt so pervasive in society today? And why don't we just say no most of the time? Every monetary move involves a choice we made at some point. If you are just about scraping by, you don't have to live in a major city like London or try to buy a Tesla or attempt travelling around the world. I am all for dreaming big, but living your reality is necessary for keeping you financially sane. 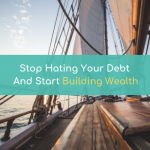 Besides the few who use debt to create opportunities, accumulating and staying in debt is one guaranteed way to rob your future. Do you want to work even longer before you retire? If not, then take on less debt. Debt's compounding power guarantees you stay chained to it the more of it you take on and the longer you have it for. Being in debt is very depressing and can even make people get in denial of their situation. If you feel like you are drowning in your debt, then I'd really recommend you start talking about it with people you trust. Talking often leads to solutions or if anything offers moral support. The other thing talking leads to is the focus on stopping that debt from making you miserable. Staying focused is a powerful thing as it will help you channel your energy at paying down your debt. Budgeting effectively is a very useful tool in fighting the war against your debts. See 15 Tips to Help You Stick To Your Budget or join the Free Master Your Money course for a practical introduction to money management. There are people in so much debt that they will never actually be able to repay all of it. Alot of such debt is usually credit card debt or debt from buying homes at over-inflated prices which far outstrip the ratio to people's incomes. e.g. If you owe £30k and earn an annual after-tax income of £30k and with annual living costs of £24k, then your ratio would be 0.2 (i.e. 30 – 24)/30. Your ratio measures your ability to meet your debts with available disposable income/cash. The higher this number is the better. 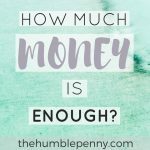 Anything around 0.2 or below indicates you're in danger of not being able to pay off that debt and should seriously consider seeking help. The Debt Advice Foundation is a charity that offers free and confidential advice. Increasing your earnings is an alternative way to tackle your debts. Check out 85 Ways to Make Extra Money. I truly believe in the power of being able to create value. This is why I promote making money alot on this blog. Extra money is never handed to you. You have to do stuff for it. Debt is a tool and usually flows to where it is being looked after. If you can demonstrate that you're a good steward of money, then the opportunity to borrow cheaply comes to you. There is a material difference between the borrowing costs (i.e. interest rates) for someone who has a squeaky clean credit report and someone who does not. So a “Matthew effect” really does exist with debt. For those who have (e.g. people who look after money), more is given. For those who do not have (e.g. don't look after money), the little they have is taken away. One way to start to change this to get your free Experian Credit Score. As you take steps to get your debt under control, this score will give you an indication of how lenders view you. 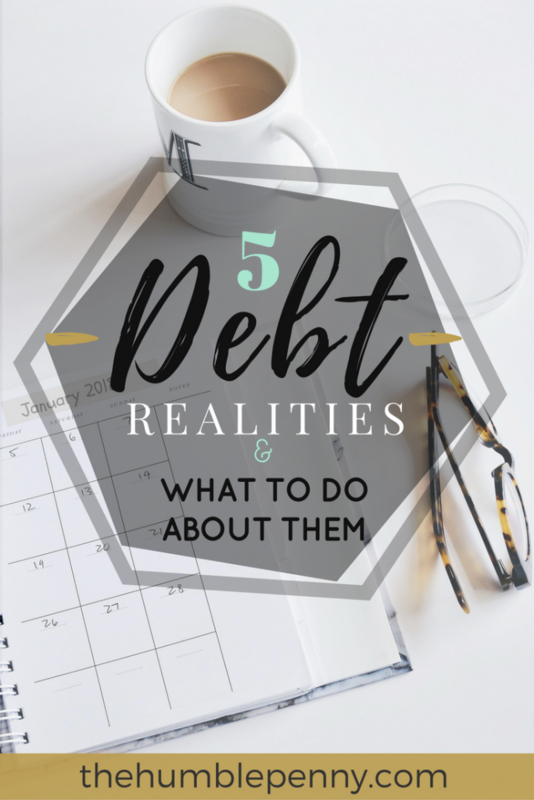 What's your debt reality? Which of the above resonated with you? Please comment below. Would you say that all types of credit card usage is bad? If one is savvy with it and avoids interest repayments would you say that it its still a bad type of consumer debt? Hi Patricia, totally not. In fact, credit cards can be used very tactically to accrue points for holidays etc. It is a useful trick for actually saving money on travel for those that use it very well. The key, as you mentioned, is to avoid interest payments. Essentially I would only use the card if I have the money to pay it off (i.e. not front-load expenses) and there is an additional benefit of buying via my credit card. Using credit cards, and generally plastic, is convenient and beneficial (I don’t chase points because these are difficult to use but have been on my sons back to get, and use properly, a credit card to build his credit score. This is needed more and more often.) Before that though one has to develop the habits and motivation that will prevent them using cards to over-spend (and get in debt). The credit score is certainly important. Would be great to hear how else you’re teaching your son about debt and money in general. This is a very honest post that many people should find useful. It’s true that no one cares how fancy your car or house is and if someone does care, then it says a lot about them. Hi Prabjit, I am glad that resonated with you. Often times, we think and know these things but our actions are often out of sync. Ken, just to say that debt doesn’t affect everybody; at least, it doesn’t affect me and my family since I paid off all of it (£100,000 paid off in three years without selling assets). 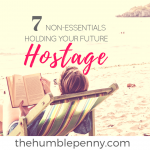 Also, I know that having debt feel really bad – well, I felt like someone has punched me in the belly when I figured out how much we had – but the process of paying it off is very empowering. Nothing good comes from hate and this is true about debt – you want to deal with it, you’ll have to find a way to accept it with no negativity. Hi Maria, massive congrats for paying off your debts! It is always liberating :). I also really like your point about approaching it with no negativity. Usually very hard when one is in the valley, which is why I believe talking about it with others that are supportive can help.